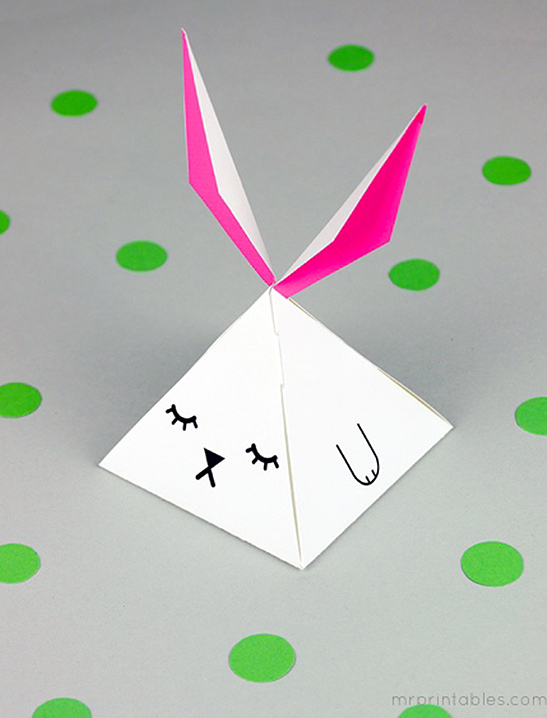 Hopping this way is a cute geometric bunny party favor. It's a tiny pyramid shaped box, suitable for little treats. Perhaps it's eaten a few too many treats and needs to rest a while. 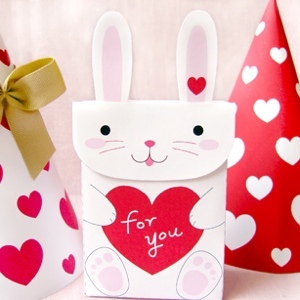 This adds to our bunny obsession, ok we already have quite a few but there's no such thing as too many bunny boxes! Heavy weight papers work best so the bunny keeps it’s angular shape well. Cut out the template and cut the solid grey lines for slits on the fold line of the two side panels. Fold the dotted lines, scoring the lines with an empty ball point pen really helps. 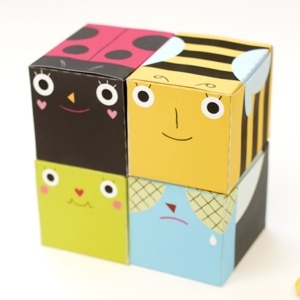 Fold up into the pyramid box and insert the tabs into the slits to close up. No glue needed! You can open one side to fill it with nice small treats. 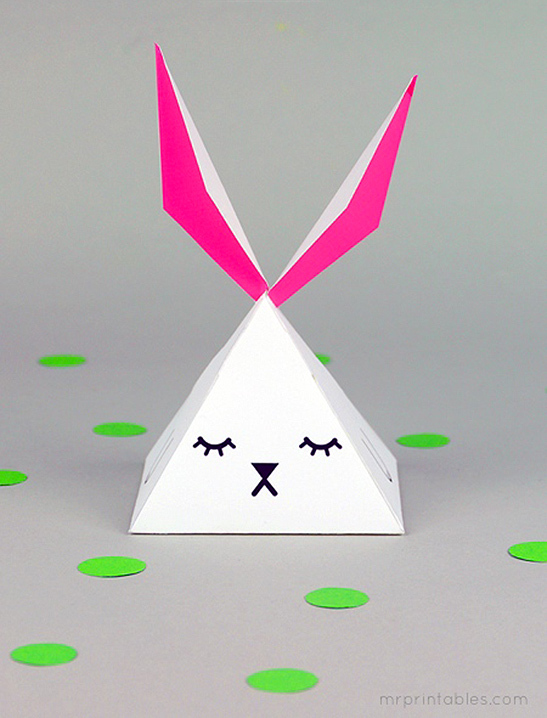 One pyramidal bunny ready to go! 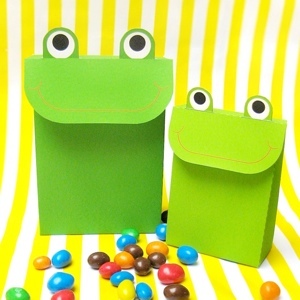 The blank template can be used for coloring in or printing on bright colored papers. The only difference with it is the ears are not filled with pink color.